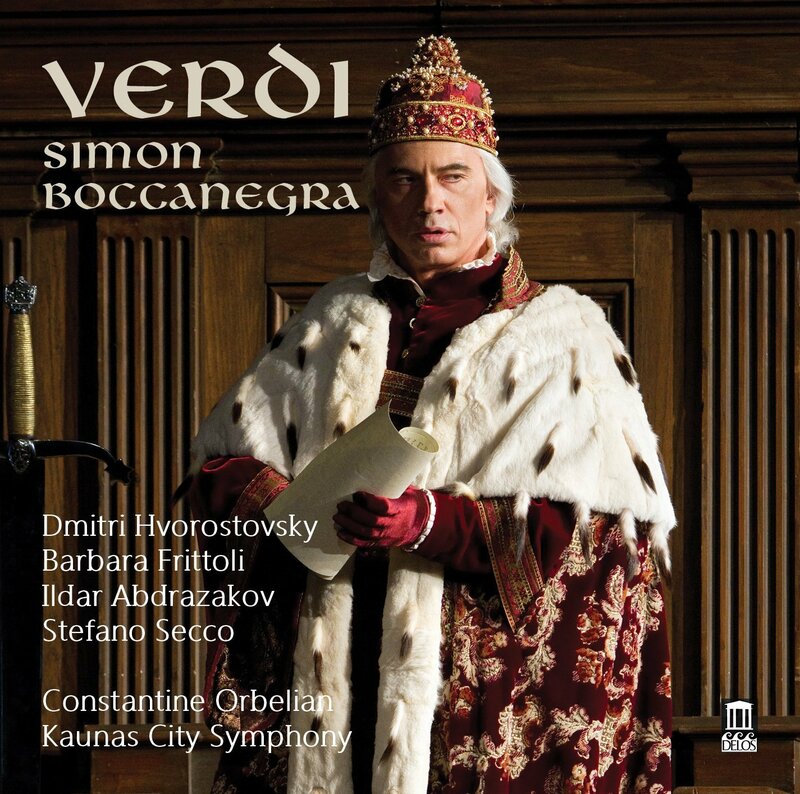 Ildar Abdrazakov can be heard in the role of Fiesco on Delos Music’s release of Verdi’s Simon Boccanegra, out today worldwide. Dmitri Hvorostovsky sings the title role on the recording, accompanied by the Kaunas City Symphony Orchestra and Kaunas State Choir under the baton of Constantin Orbelian. Barbara Frittoli is Amelia, Stefano Secco is Gabriele, and Kostas Smoriginas is Pietro. Ildar’s “Piango, perche mi parla”with Dmitri Hvorostovsky can be heard here. Purchase the recording from Amazon or iTunes.